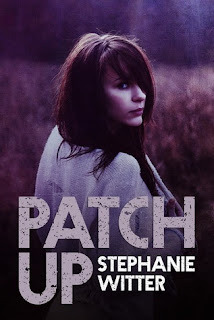 Today I am part of the blog tour for Patch Up by Stephanie Witter. I share my review with you, a guest post and an excerpt of the book. Blurb: Skye followed her long time boyfriend to Seattle for their first year of college, but he dumped her after only a week. The relationship brought only pain and destruction in Skye’s life, and yet, she can’t bring herself to open up and live her life. After participating in the cover reveal I knew I wanted to read this book. The blurb sounded good and I liked the cover. Patch Up certainly had it’s good parts, but there where also some things I didn’t like. This book is full of drama, it’s depressing at time,s but there is also a sliver of hope. Patch Up was a lot like what I expected from this book, but also a lot was different. The blurb makes it obvious it’s about two broken people, but I hadn’t expected them to be this broken. And sometimes I just wanted to understand their emotions more, but while they did tak about some of it, I still felt like there was so much more behind it. I really liked the ending, it wrapped the story up nicely, but it still missed something. I did like the overal message of the story and how two messed up people could find happiness together. I am not sure what to think of the characters. We don’t really get to know Duke that much and I really got annoyed at him at first, he acted really stalkerish and I couldn’t understand why someone would insist so much on being friend with a ‘depressed’ person. People don’t try to get friend that badly with someone they don’t know, it just didn’t make sense and it didn’t felt natural to me. I don’t know what to think of Skye, she was so broken and sometimes I felt like she didn’t do enough and other times I realized she did have some strenght, but she just wasn’t a really likeable character at first, she pushed everyone away and I was wondering if anyone really is that selfless. I mean it is only human to want friend and she is basically friendless and pushes everyone away, it just felt weird. Also I didn’t understand why she stayed there and didn’t really do anything about it a problem, even after she talked about it, I felt like there was more she could do. I don’t know sometimes it just felt off and other times I just wanted to shake some sense into the characters. Constantly there was something going on, there was no peace and the constant quarrels got old sometimes, I just wished they talked a bit more. To conclude: I enjoyed Patch Up, but there was a bit too much drama in this book for me. I did like the ending and how it all wrapped up and the silver of hope. The characters felt a bit off to me sometimes and I felt their behavior felt unreal sometimes. I did enjoy the overal story. And the author has written a guets post for my stop. It’s about the Inspiration for characters’ names and inspiration for the story. When you have a story idea, it can consume everything. That’s exactly what happened to me with Patch Up. Patch Up was a tough novel to write because of the abuse and the way both Skye and Duke are broken, but also because I had to be in Skye’s head so to speak. Let me tell you, it wasn’t that easy! When I started writing it, I wanted a story that despite its overall darkness, would be about hope too, a story where you could see the characters growing up and healing. I know women of all ages that were in an abusive relationship for months or years and talking with them was eye-opening. I wanted to write something like that, something that would show that it’s not because someone was trapped in an abusive relationship that they aren’t strong. I had the idea of Duke’s character once I had a good idea of who Skye was. You have no idea how many notes I took for these two! I must be twisted because I have this thing about characters grieving a loved one that it’s something I enjoy writing about very much. Duke’s pain made him more in tune with people around him and that’s why he “pursued” Skye. When you see someone hurting and it echoed in you, you will do something. It was sort of a wake up call and I enjoyed using a character trapped in a tragedy that happened years ago who needed to help someone else in order to be happy again and another character who needed someone as hurt as herself to finally open up. I was just being a dork! Seriously though, I wanted names that would bring a smile to my face because the story wouldn’t do that. So Skye… well, if you read Patch Up you will understand once you know her last name. Stephanie Witter is a French dreamer. She started English at three and fell in love with the language. Always with a book – or two – close by, she soon started reading in English when she couldn’t wait to see Harry Potter translated in French. After a while, reading wasn’t enough and she started writing young adult and new adult contemporary novels always filled with drama. 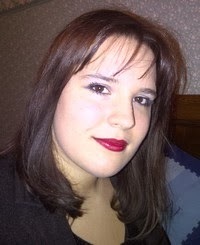 Now she hopes to translate English novels in her mother tongue as her everyday job. By My Side is her debut novel.